The signs should not be taken too literally, though. Jane Evans, the principal at NAMS, says members of the public can certainly use the courts as they use the track and playing fields when they’re not in use by the school. What the signs mean, she told me, is that people need to get authorization if they want to hold organized events such as classes there. During the school year, the NAMS tennis courts do get use by P.E. classes, the principal says. School let out for the summer last week, so perhaps the damage is the result of vandalism since. Generic Levitra over the counter on http://howmed.net/order-levitra-vardenafil/ with fast worldwide shipping. The tennis courts at NAMS were installed long after I finished classes there in 1970 and because they are tucked away behind the gym, I never even knew they existed until a few years ago when I went to visit “my old school” during a bicycle ride. I suspect their location out of sight is a big contributor to the vandalism pictured. tAs you say, Hasso, that’s certainly not simple neglect seen in your photo. 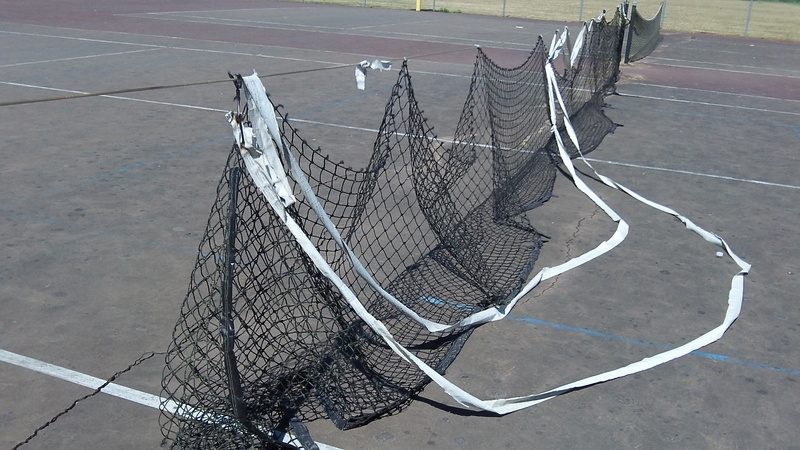 With the courts in that condition, the school district has little to worry about unauthorized use. A further note to anyone contemplating walking/jogging/running on that old NAMS cinder track: Prepare to get many (painful) cinders in your shoes. The other middle schools have, or have access to, asphalt running surfaces. The NAMS track was NEVER worth it’s cost as the cinders installed there in the 60’s are still there and far bigger (like pea gravel) than cinders of a “real” cinder track, such as the old cinder track where OSU Track and Field athletes competed and trained in the 60’s when OSU still had a track program. As a student-athlete in the late 60’s, NAMS was the ONLY cinder track we EVER competed on. And many school aged athletes will attest to the distinctly foul odor of that football field when it is saturated and muddy from rain and activity, all due to extremely poor drainage and the “sour dirt” that results. And the baseball field was hard as a concrete sidewalk. Slide into home plate? Go right ahead. I’ll pass. 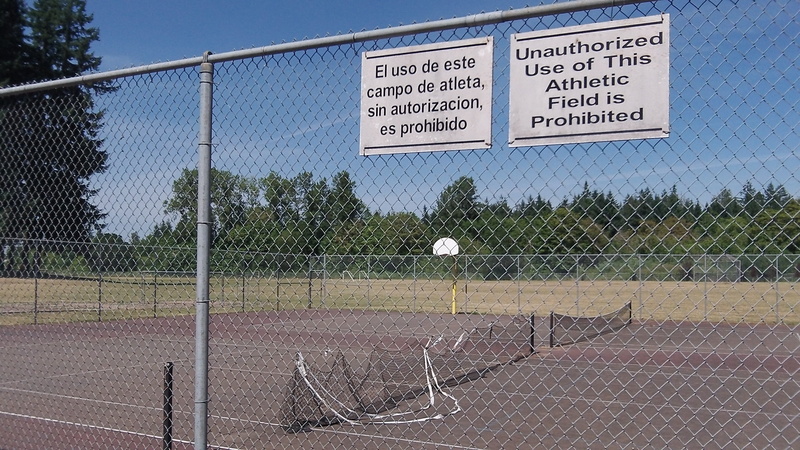 NAMS really got short-changed on its outdoor athletic facilities, right from the get-go. They were the worst in the league bar none. I see little has changed. At least the NAMS mascot remains the same (Tigers). I competed against the Memorial “Braves” and the Calapooia “Vikings”, but that’s a whole different can of worms. Back then, nobody was “offended” so easily.